We have already reviewed the importance of scheduling appointments with your health-care provider(s) and creating your own personal nourishment plan that includes smaller, more frequent meals and plenty of water. Here are a few more ideas to help you rejuvenate a happy, healthier you. Learn the importance of all elements of a successful CRM implementation. It's not just the software that sustains true success. You will learn what to look for in a CRM tool, and then see how your sales process and customer needs effect the success of your initiative. Also learn the effectiveness of implementing CRM into your entire company. Have you ever been working on a project, with everything running fairly smoothly when you realized there was a little knot in your stomach? Some little nagging, aching feeling right in the pit? So many of us - especially we women - are caught up in the pressures of meeting customer expectations, commitments to deadlines, and dealing with the stresses of a project that we fail to listed to that inner voice. I've had the experience described above on many occasions, but only recently learned to listen to it. I had to learn the hard way. 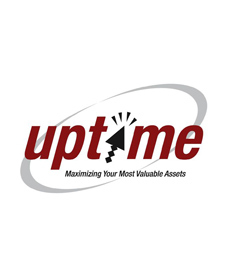 UptimeLV, Inc. was founded in Las Vegas 2001 as an External Services Provider (ESP). As a current Microsoft Gold Partner, our technical expertise supports various networks and infrastructures. Our development of 'referenceable' clients has enabled Uptime to continue delivering the cutting edge of technology and support while launching URI, a recruiting division. In 2006, the Serious Games Summit D.C. expands its focus to explore new ways to broaden the spectrum addressed by serious games. Sessions feature the talent, tools, and technology that make this compelling form of new media a viable means for problem-solving for any industry. The core segments of serious games - military, government, healthcare, corporate training and education - will play a major role at the conference as well.